This year, a deepening of the economic crisis and growing political instability in Venezuela was included as a top tier priority in the Center for Preventive Action’s annual Preventive Priorities Survey. Of the thirty contingencies included in this year’s Preventive Priorities Survey, a deepening of the economic crisis and political instability in Venezuela leading to violent civil unrest and increased refugee outflows was assessed as a top tier priority for the United States in 2019. The contingency was deemed highly likely to occur and, if it does, of having a moderate impact on U.S. interests. Since 2014, Venezuela has faced a massive economic decline, which has led, in turn, to a humanitarian crisis and a mass exodus. With an economy largely dependent on oil exports (oil accounts for 98 percent of export earnings), the Venezuelan government, led by President Nicolas Maduro, responded to a global decline in oil prices by printing money, leading to rapid inflation. To avoid U.S. and EU sanctions and boost the Venezuelan economy, the Maduro regime created a new cryptocurrency, the Petro. However, the International Monetary Fund estimates that Venezuela’s hyperinflation may reach ten million percent in 2019. Poverty has increased across the country and social services have been reduced significantly. Venezuelans have limited access to medical care as hospitals have trouble providing basic services and approximately 85 percent of medicines are simply unavailable. Diseases like dengue, diphtheria, malaria, and yellow fever have emerged and are spilling across borders. 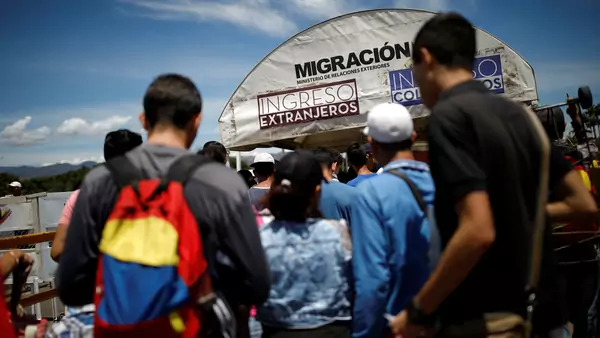 The UN Refugee Agency and International Organization for Migration estimate that more than three million Venezuelans have fled the country since 2015 and another two million may migrate in 2019. The United Nations has stated that it will send $9.2 million in aid to Venezuela from its Central Emergency Response Fund, but continued mass migration from Venezuela could also destabilize its neighbors. Colombia has received the largest number of migrants, with Brazil, Ecuador, and Peru close behind, as well as islands in the Caribbean—many of which have limited capacity to absorb refugees. Host countries are struggling to support the large influx of migrants, and concerns abound that the migrants may face backlash from local populations as a result. Despite widespread accusations of a rigged election in May 2018, boycotts by domestic opposition groups, and condemnation from neighboring countries, President Maduro will be sworn into office for his second six-year term on January 10, 2019. Leaders in the region have announced their opposition to Maduro’s presidency and the Donald J. Trump administration has imposed sanctions on Maduro, his wife, and others accused of contributing to Venezuela’s economic crisis.